Is Wellness Part of Your Pet's Health Care Plan? Is Wellness Part of Your Pet's Care Plan? Enrolling in a wellness plan means you don't have to hold your breath at the clinic's checkout because your plan pays for most — if not all — of your pet's veterinary care during an average wellness visit. For most pet owners, wellness plans are a real bargain, offering ready access to preventive veterinary services — like exams, vaccinations and blood tests — for a reasonable monthly fee. Saxon says these budgeted plans help relieve the financial strain of providing top-notch veterinary care and can help prevent some medical conditions that might otherwise break the bank. There are many pet wellness plans on the market, but they all have one important thing in common: a focus on preventive care. Sure, your veterinarian has probably told you time and time again how important preventive care is, but do you know why? Brenda Tassava, CVPM, of Halow Tassava Consulting in Indianapolis, sums up the benefits of preventive care in three words: Pets can’t talk. “As good as veterinarians are, they aren’t Dr. Dolittle,” she says. “They need to see what’s going on beneath the surface.” And regular exams and laboratory work are the best way to detect some illnesses early and keep others at bay. These visits also provide a key opportunity to ask the veterinarian questions and share information about your pet’s behaviors and care at home. Karl Salzsieder, DVM, JD, CVA, of Yelm Veterinary Hospital in Yelm, Washington, couldn’t agree more. He says that pets, like babies, can’t always express what’s hurting them, which is why they need extra special care and hands-on attention. 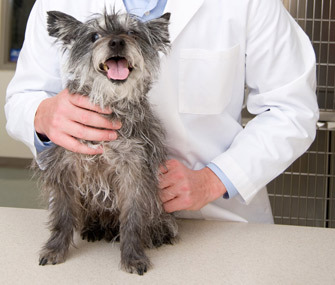 Your pet may seem happy and healthy despite underlying disease. “We sometimes forget that pets learn how to live with pain,” Dr. Salzsieder says. Of course, preventive care doesn’t just protect the animals in your house. When you give Rex his flea and tick control and other preventive medicine, you’ll help ensure that your house doesn’t become home to irritating parasites that can cause illness or disease in both you and your pets, Tassava says. 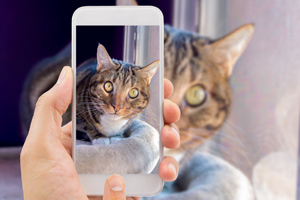 Regular veterinary visits can also help your pet’s doctor identify health problems just as they emerge, making some treatments more effective. At Saxon’s clinic, there are about 200 members currently enrolled in their wellness program, and she says they love it. She’s also noticed an increased quality of life in the clinic’s patients.“The blood work that is paid for through these wellness plans provides important baseline data on an individual patient and can help us identify kidney failure, liver failure — all kinds of things that you didn’t expect,” she says. Enrolling in a wellness plan means you don’t have to hold your breath at the clinic’s checkout counter. That’s because your plan pays for most — if not all — of your pet’s veterinary care during an average wellness visit. Even with a one-time enrollment fee, Dr. Salzsieder says many plans can save you up to 50 percent on veterinary care over the life of your pet. And in addition to covering exams, vaccinations, and diagnostic tests, some plans also include such services as x-rays and dental cleanings. Still other programs, like Dr. Salzsieder’s, offer a percentage off the veterinaryservices that aren’t included in the primary plan. “Wellness plans are a great way to budget your annual veterinary expenses, get a discount, and take care of a prescribed list of healthcare items for your pet,” he says. And more important, you won’t have to hesitate before bringing your pet to the clinic. Just like animals, wellness plans come in all shapes and sizes, depending on the practice and the pet. Dr. Salzsieder offers a handful of options at his clinic, so clients can customize the plans to fit their pets’ needs. Often, puppy and kitten wellness plans include heartworm testing, spaying and neutering services, tests for feline leukemia (FeLV) and feline immunodeficiency virus (FIV; also known asfeline AIDS), and more. The senior plans typically come with more extensive lab work, a geriatric exam, chest x-rays, and a thyroid test, Dr. Salzsieder says. He explains that the monthly cost of a wellness plan usually runs between $20 and $50, depending on the desired level of care you choose for your pet.